Choose your favorite services from all our treatments & more! Call to Schedule: 877-726-5828 x 1 ~ We’re Open 9am – 6pm Every Day. Once you decide on the date of your party and choose your services we take a 50% deposit to secure your booking. The balance is due upon completion of your party. Should you wish, for any reason to cancel your party we require a 14 day notice to avoid the forfeit of your deposit. A full refund of deposit less a 10% admin fee will be issued. We accept the following credit cards: MC, VISA, AMEX and DISCOVER. 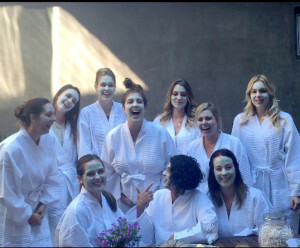 We now have gorgeous robes for use (for rent) at your spa party. Mini Pedicure Includes polish removal, buff, light filing & color change. 20 minutes. Perfect for adding to any of our other services. Full service spa pedicures available here. Mini Manicure Includes polish removal, buff, light filing & color change 20 minutes. Add to any of our other services. Full service manicures are available. Call 1.877.726.5828 for a custom quote. All services are performed by licensed manicurists. Equipment and nail tools are sanitized with hospital grade disinfectant. Tell us if you have any medical conditions or allergies. A mini-treatment designed to balance the body through pressure points in the feet. A relaxing treatment that will leave your whole body refreshed! 20 minutes. Paraffin Dip Warm paraffin with essence of lavender soothes and nourishes your skin … leaving your hands soft and silky. We end with a luxurious massage. 20 minutes. Add to our mini manicure! Just Relax With Friends and Be Pampered! A convenient way to revitalize with massage! No need to disrobe. A 20 minute treatment for scalp, neck, back and shoulders, arms and hands. Add to our mini manicure. See here. Face is cleansed, treated with warm towels, moisturized and massaged. This treatment will hydrate your skin and relax your facial muscles, leaving you with a fresh, healthy glow! 20 minutes. 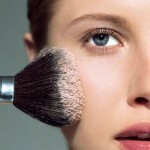 Mineral based make up enriched with vitamins. The perfect quickie beauty makeup to get you going. 20 minutes. Discover your inner Goddess. Untapped gifts will be unearthed, and your own Goddess intuitions validated, as we look into this self portrait drawn from deep within. The challenge of your life’s purpose and the beauty of your life’s lesson revealed all in the palm of your hand. 20 minutes – 9 guest minimum. 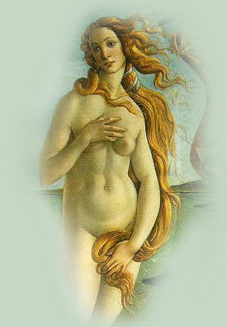 From each reading you’ll learn who the different cross-cultural goddesses are and how they can help you. Each card gives you a specific message about how you can improve your life, health, relationships, finances, career, and spiritual path. 20 minutes-9 guest minimum. This is a 60-minute optional session, bringing peace, balance and tranquility to all. Call 1 877-726-5828 for a quote. 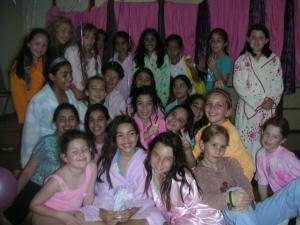 We would love to be a part of your pre-teen (up to 12 years) or teen celebration! 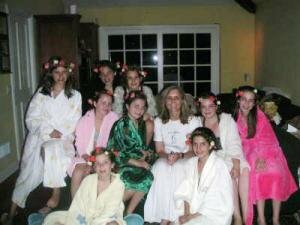 Little Goddess Spa parties are so much fun and will leave your guests saying WOW! See our list of services below and please call for a custom pricing. for your party choices! Call 877-726-5828. Give A Party As A Gift!